The Kitanemuk lived in the Tehachapi Mountains and the northwestern edge of the west end of the Antelope Valley. 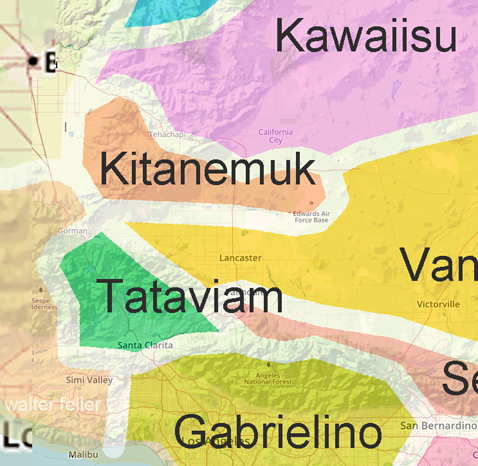 The Yokuts and Chumash bordered their territory to the west and southwest, the Kawaiisu on the north, the Vanyume and Serrano to the south and east. Father Garces visited their village southwest of the Tehachapi Valley on the Tejon Creek in 1776. The Kitanemuk were dependant on acorns from the abundant oak in the western portion of their range facing the San Joaquin Valley, and pinon pine nuts found on the slopes on the eastern side of the range, facing the desert. The Kitanemuk, like the Kawaiisu, lived in permanent villages during the winter consisting of groups of 50 to 80 people or more. Other times of the year, these communities would disperse into smaller groups visiting various food-producing habitats as the plants became ready to harvest. The Kitanemuk spoke a dialect of the Serrano language, which was spoken by groups throughout the San Bernardino Mountains and in the desert foothills as far east as Twentynine Palms. 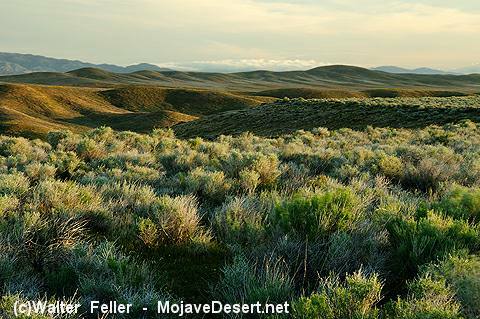 The culture and customs of the Kitanemuk were for the most part similar to the Vanyume living in the Antelope Valley and upper Mojave River areas to the east. A notable exception is that the Kitanemuk may have interred their dead rather than cremation as practiced by their kinsmen. The population of the Kitanemuk has been placed in the 500 to 1000 range at the time of the arrival of the Spanish.